Is the Rosewell Plantation Haunted? 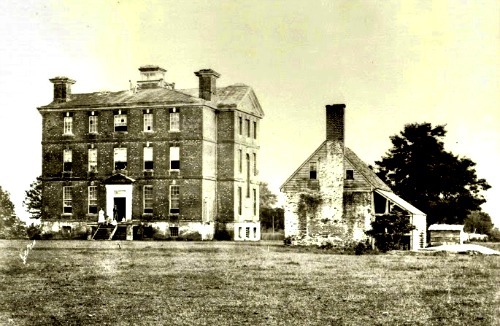 Construction on the Rosewell Plantation began in 1725 by the property owner Mann Page, and was home to one of the very first families in Virginia for over 100 years. The house was built to impress and cost a huge amount to complete, with the aim of it being bigger and more luxurious than the governors house. But Mann Page never got to see the house finished as he passed away 5 years into its construction. The house was completed by his son, Mann Page II who had to sell off a huge amount of the families land to see it finished, though the end result was a home twice the size of the governor's. During the civil war the house was used as a base of operations and suffered considerable damage. After this point the house never regained its former glory and the lead work and wooden interiors were removed and sold. The house remained as a private residence until the year 1916 when a fire destroyed everything apart from the chimney stands and part of the east wall. Today the house stands a ruin as you can see below, and is as far as I know open to the public. 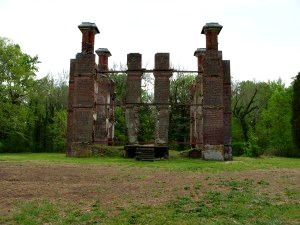 Most of the stories associated with the plantation all seem to be along the lines of camp fire stories, such as people claiming they have seen the ghost of Thomas Jefferson here. But there are a few stories which keep coming up again and again and don't seem to be stopping any time soon. People who have visited the ruins have claimed to have seen the apparitions of former slaves walking the grounds, especially after dark. One of the former residents of the house is also said to remain here. Letitia Dalton is known to have actually died in the house and is said to rarely appear within the walls. An interesting twist to this claim is that she only appears after dark and a tell tale sign she will manifest is that all the birds and other wildlife in the area fall silent. Apart from this there are various claims of orbs and various atmospheric conditions but when a building is as damaged as this its difficult to tie the hauntings to one spot.